Star Trek 3 has already had a bumpy road and the next installment of the revamped franchise hasn’t even shot a single frame yet. Roberto Orci was supposed to make his directorial debut on the film, something that incensed a fair number of fans, but he was ousted after disagreements with Paramount Pictures over the direction of the film, and replaced by the Fast & Furious Justin Lin, another decision many have questioned. Orci also left a void in the writing department as well, which has since been filled by Simon Pegg, who plays Scotty in the new films. We adore Pegg, but while it remains to be seen whether or not this is a good fit, at least one of his costars has given him a resounding vote of confidence. Chris Pine, who, of course, plays the new version of Captain James T. Kirk, is in Park City, Utah for the Sundance premiere of his post-apocalyptic ride Z for Zachariah. When MTV caught up with him, they asked what he though of the Pegg hire. 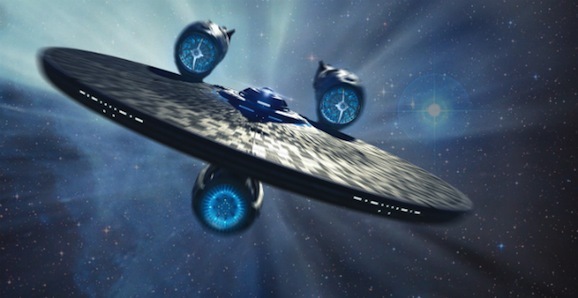 This is not exactly the name that we expected to hear connected to the writing job on Star Trek 3, but it could be awesome. It is being reported that, now that Justin Lin has taken over as director, Simon Pegg will co-write the script with Doug Jung. Though he’s most recognized for his efforts in front of the camera, Pegg has an impressive resume as a writer as well. His highest profile work is obviously with Edgar Wright on the Three Flavours trilogy—Shaun of the Dead, Hot Fuzz, and The World’s End, though their collaboration goes all the way back to Spaced—but he also wrote Paul, Run, Fat Boy, Run, and many more. 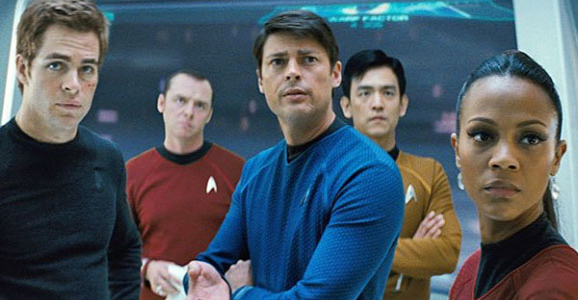 Deadline reports that Pegg, who already plays Scotty in the revamped franchise, steps into the role after Roberto Orci was ousted as his duties as writer and director in the wake of disagreements with Paramount over the direction of the film. Now that they have a director in place, I guess Paramount feels confident enough to pin down a solid release date for Star Trek 3, which is exactly what they just did. 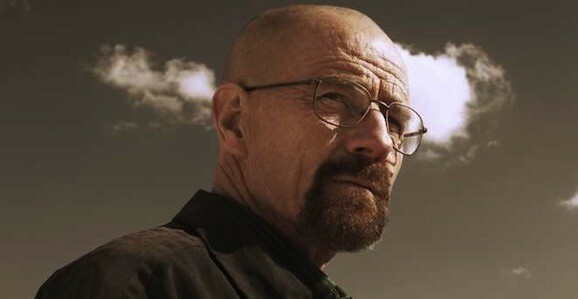 We’ve heard rumors that the studio was aiming to get the next film in the rebooted franchise into theaters for summer 2016, which just so happens to coincide with the 50th anniversary, and by gum, they did it. Or at least they scheduled it for July 8, 2016, they still have to actually make the movie. Baby steps. 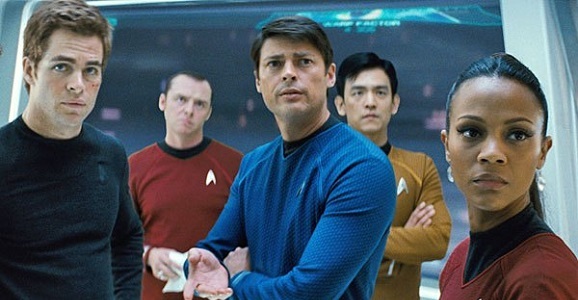 The fate of Star Trek 3 (not to be confused with 1984’s Star Trek III: The Search for Spock mind you, though Into Darkness was a kind of Wrath of Khan-inspired, so maybe…) now lies in the hands of Justin Lin. Most known for directing the last three Fast & Furious movies, we heard yesterday that he got the job after Roberto Orci and Paramount parted ways. 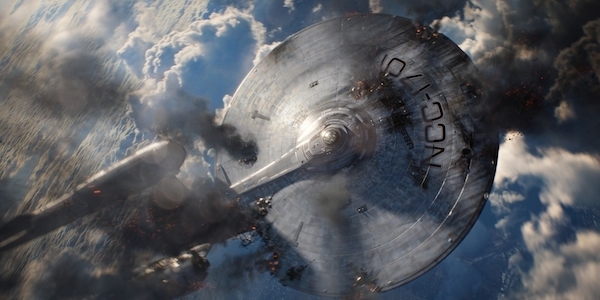 There have since been a lot of jokes about the Enterprise peeling out in space, or images of hot rod cars with Federation logos Photoshopped on them.